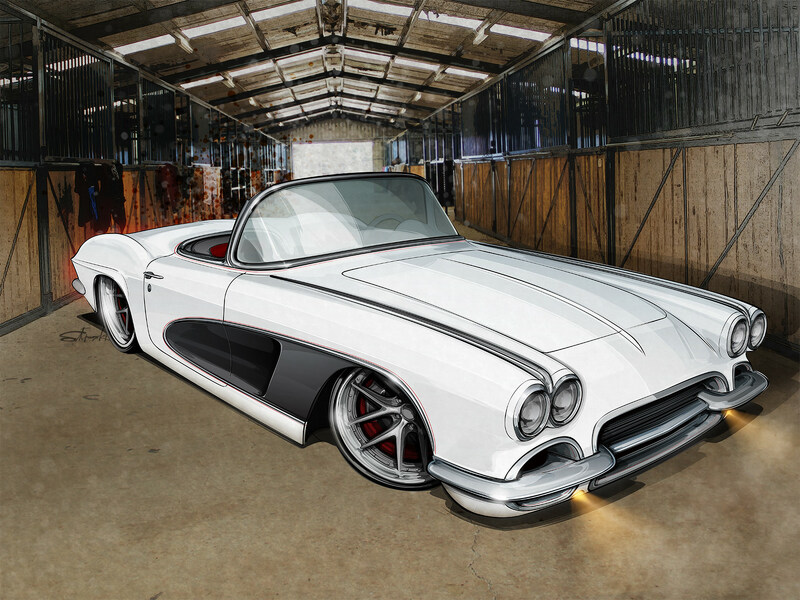 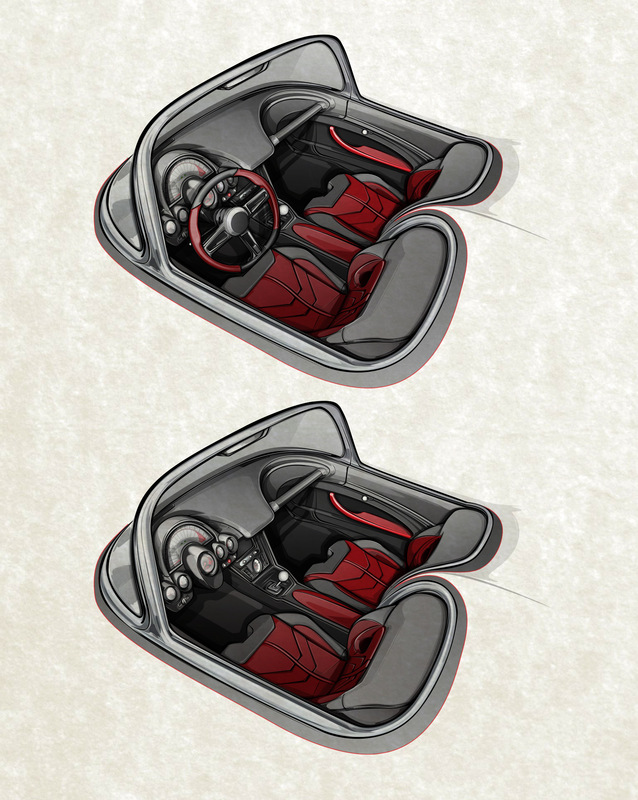 Renderings and interior/detail designs for custom 1961 Corvette, set to debut at the 2015 SEMA Show. 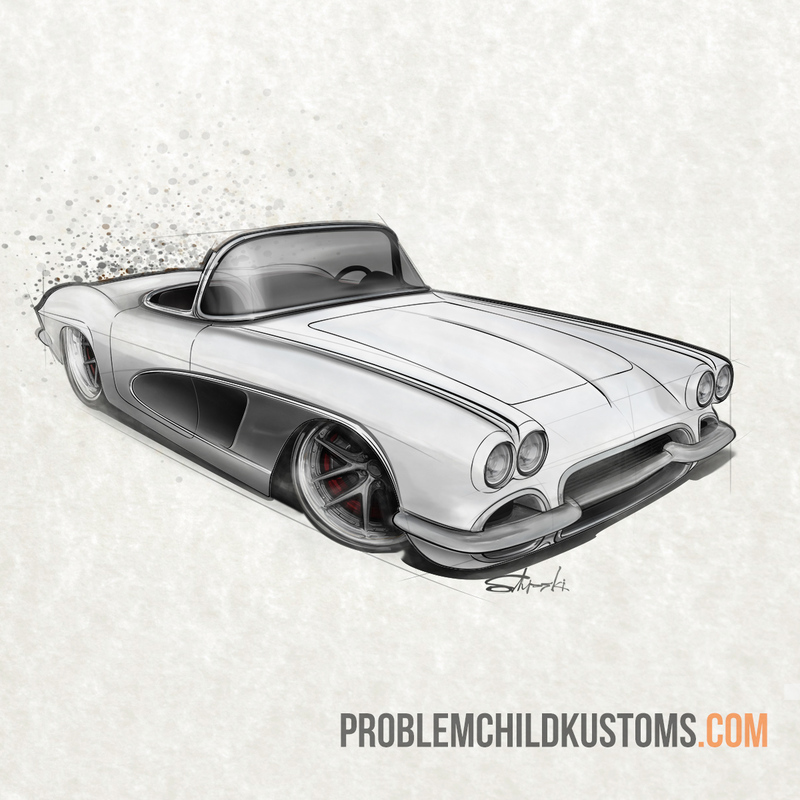 Renderings and detail design sketches for custom 1961 Corvette project, set to debut at the 2015 SEMA Show in Las Vegas. 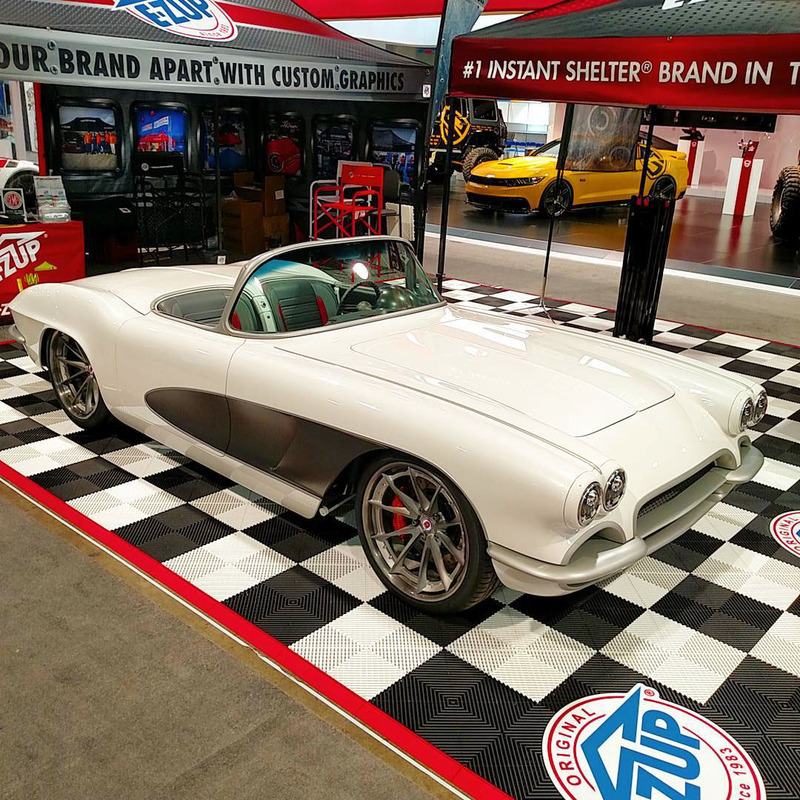 The finished car at SEMA. 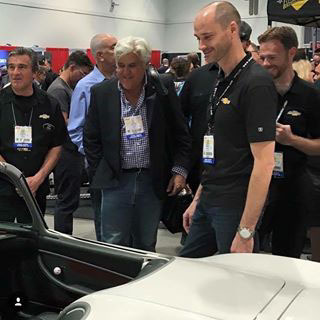 Jay Leno checking out the 'Vette. 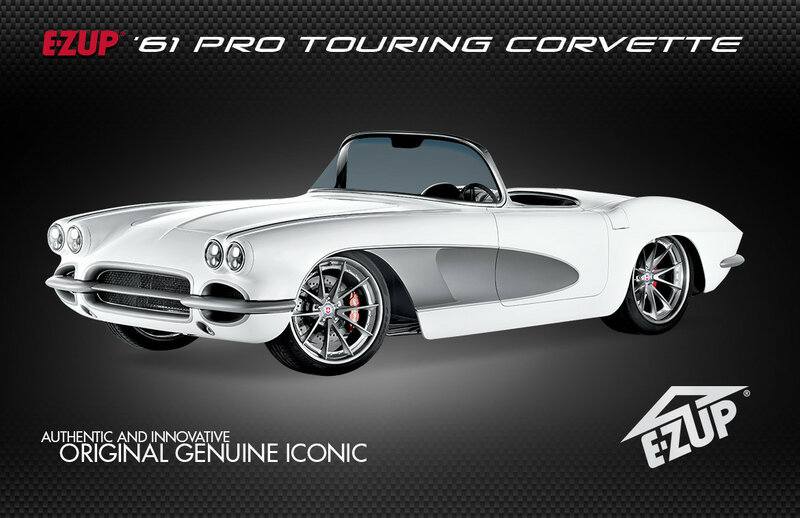 Hero card promoting the 'Vette.